Dricon FRTW meets Class A requirements for flame spread and greatly reduces smoke development and includes a 40-year limited roof system warranty which covers repair and replacement and is transferable. 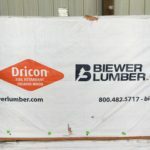 In addition, Dricon FRTW is EPA registered as a preservative, can be used in contact with concrete that contacts the ground and is backed by a 40-year limited preservative warranty. Biewer FRTW combines the flexibility and environmental advantages of wood with reliable fire protection. 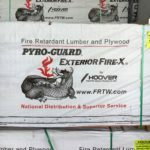 Pyro-Guard is pressure-impregnated, interior fire-retardant treated lumber and plywood for enclosed structural applications. This lumber has been strength-tested after prolonged exposure to elevated temperatures and moisture to verify its strength characteristics when used in roof systems and other recommended applications.